What are we thinking? DelCorians share ways for association execs to learn about technology. One of the most gnawing anxieties for association executives is worrying about all the things you think you should know that you don’t know, especially when it comes to technology. If you don’t have enough time to read all your emails, how can you be expected to keep up with technology? Yet, technology brings extraordinary opportunities beyond efficiency and productivity—along with plenty of risk too, as the data breach headlines frequently remind us. How do you maintain enough knowledge to take advantage of the opportunities and avoid the risks? How can association executives learn what they need to know about technology so they’re not going forward blindly? There’s plenty of education provided by the association community. For example, be open to vendor replies in the ASAE Collaborate community. Chances are, there’s a vendor out there who can teach you what you need to learn, and who’s willing to share their knowledge without selling you something. Take small bites of technology when you have time. Set up a technology channel on Flipboard or Apple News to read on your mobile device. Use aggregators like Reddit. Follow hashtags on Twitter. Keep an eye on the technology environment as a whole—what’s going on and how it will affect your constituents. The telephone switch operators didn’t anticipate the changes in their industry, but you can. Make sure the leader of your technology team has a seat at the C-level table. They don’t need to hold a C-suite position, but their contribution to the C-level discussion will help you and everyone else learn more about technology. Don’t be afraid to let others know you aren’t comfortable with your handle on technology. Listen to those who know more than you. Schedule time to discuss technology issues and solutions with a group of peers. You can find sample documents and words of wisdom from colleagues by searching the ASAE Collaborate archives. Follow the hashtag #assnchat on Twitter. Attend vendor partner events to keep an eye on what’s happening in the association technology marketplace. It’s also important to keep up with what’s going on within your industry. Follow the same feeds your members are following. You may learn of a shift or change in the industry that will impact your members and your association. For example, certification-based organizations may learn that members are looking for unitized transcripts and a streamlined reporting process across all their learning vendors. I wish association execs had more time to understand the true IT culprit out there: security. A secure network is probably more important than providing employee and members with cool new technology. As for learning, the DelCor blog is a great place to start. I can’t imagine association execs are interested in reading about the new firewall/switch specs and reviews that make up the content on most tech sites; you’re more concerned with the technology that relates to your business—the type of content the DelCor blog and website provide. I also think execs should set aside time at least once a year to have a DelCor consultant review their association’s current technology and discuss how to move forward. An IT Maturity Model assessment is a great starting point. It gives you an idea of where you stand, technologically speaking, and what can be done to push your organization to the next level of maturity. Editor’s note: I swear we didn’t prompt him to say that! Goes to show how IT Maturity resonates with our clients—and our staff! Plan a monthly luncheon with other association CEOs to learn what they’re doing on the technology front and to become familiar with the challenges each of them has faced and solved. A hidden gem is the Society for Technical Communications (newsletter subscription). This group, while focused on technical writing, may give execs a heads up on what’s coming down the pike. So much is changing daily with technology and communications. Limited staff, resources, and time are issues that plague start-ups as well as associations, so when I was an association executive I always encouraged myself to think and read like an entrepreneur—magazines like Entrepreneur, Fast Company, and Mashable. I don’t think there are good resources for association execs to keep up with technology in our space. The answer depends largely on the size and structure of your organization. In most large associations, the execs—unless they have related experiences or technology backgrounds—can be somewhat detached from technology-related decisions. Therefore, it’s important that the person to whom the highest-level IT position reports maintains a close and trusted working relationship with decision-making executives. Regularly skimming ASAE Collaborate’s Technology Section discussions to keep abreast of topics of interest in the association community. Joining product-related user group communities or listservs to keep up with news and issues related to specific systems like your AMS. Perusing your industry’s publications and online community postings to stay informed about industry-related technology updates. Seek content and events sponsored by independent or product/brand-neutral organizations, like ASAE or your state SAE. In the technology space, there are countless meetings, events, and webinars that are sponsored by developers and vendors. Many come with a free lunch; just be aware of who’s buying. 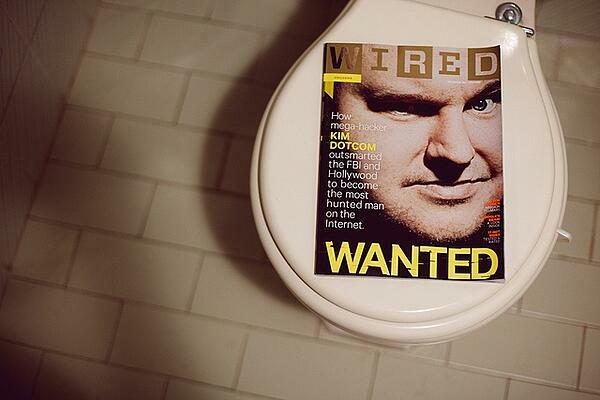 Some of the sources I trust include, but aren’t limited to, Wired, InfoWorld, Forbes, and Bloomberg. These two sites provide a great starting point for association execs who wish to remain in the know without becoming overwhelmed. The publishers have pre-screened (or curated) the content to ensure it applies to the association community. Is there something you’d like to ask DelCorians about—and get several informed opinions? Drop us a line with your question. If it appears here on the blog, you’ll win a prize from the DelCor store!